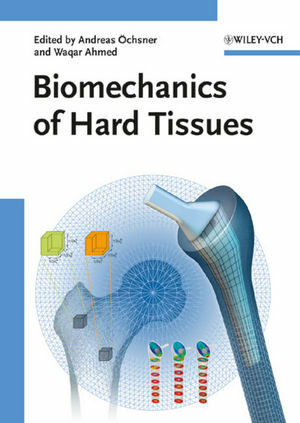 This monograph assembles expert knowledge on the latest biomechanical modeling and testing of hard tissues, coupled with a concise introduction to the structural and physical properties of bone and cartilage. A strong focus lies on the current advances in understanding bone structure and function from a materials science perspective, providing practical knowledge on how to model, simulate and predict the mechanical behavior of bone. The book presents directly applicable methods for designing and testing the performance of artificial bones and joint replacements, while addressing innovative and safe approaches to stimulated bone regeneration essential for clinical researchers. Andreas Öchsner is Professor in the Department of Applied Mechanics at the Technical University of Malaysia, Malaysia. Having obtained a Master Degree in Aeronautical Engineering at the University of Stuttgart (1997), Germany, he spent the time from 1997-2003 at the University of Erlangen-Nuremberg as a research and teaching assistant to obtain his PhD in Engineering Sciences. From 2003-2006, he worked as Assistant Professor in the Department of Mechanical Engineering and Head of the Cellular Metals Group affiliated with the University of Aveiro, Portugal. He has published over 140 research papers and organized three international conferences on diffusion in solids and liquids. Waqar Ahmed is Director of the Institute of Advanced Manufacturing and Innovation at the School of Computing, Technology and Applied Sciences of the University of Central Lancashire, UK. He obtained his PhD in Chemistry from the University of Salford/Strathclyde and holds a certificate in business administration from the University of Warwick. Before pursuing his academic career he worked as an engineer and operations manager in various British companies. Waqar Ahmed acts as editor-in-chief for four international journals devoted to nanomanufacturing and biomaterials and as vice-president of the Society of Nanoscience & Nanotechnology.